Did Betsy Really Sew the Flag? Among the important facts about Betsy Ross is a legend that may not be a fact at all. The United States Congress adopted the Stars and Stripes as the national flag on June 14, 1777. The legend is that Ross sewed the first Stars and Stripes, but she lived during a time when close written records were not always kept. Whether she did or did not sew the flag, Betsy Ross is an important name in American history. 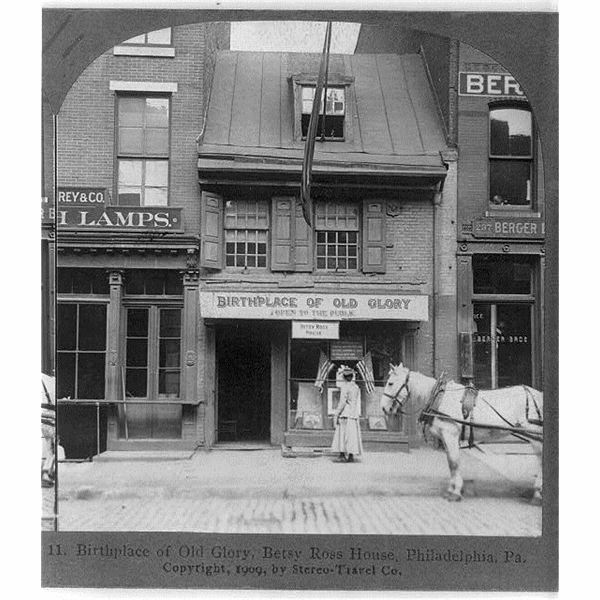 The Betsy Ross House: The house where it is believed that Betsy Ross lived and operated her upholstery shop is at 239 Arch Street in Pennsylvania. It is now a museum that educates about Ross, the flag and life in colonial times. Postage Stamp: The United States Postal Service issued a stamp to honor Ross’s 200th birthday in 1952. George Washington, Robert Morris, who was one of the signers of the Declaration of Independence, and Betsy Ross’s uncle, George Ross, visited her at her upholstery shop in 1776 or 1777. Washington had a sketch of a flag and showed it to Ross, asking her if she could design a flag similar to the one in the drawing. The drawing Washington showed Ross had thirteen red and white strips and six stars. Ross suggested that there be five stars instead of six. Washington drew another sketch of the flag, using Ross’s suggestion, and she made a flag based on that sketch in her back parlor. There are some facts about Betsy Ross and the time she lived that we know are true. These facts suggest that it may be true that she sewed the first American flag. Ross did make flags and it was not usual for upholsterers to make flags, tents or uniforms during times of war. The Pennsylvania State Navy Board paid her in 1777 to make flags for them. Her uncle, George Ross, was on the flag committee. 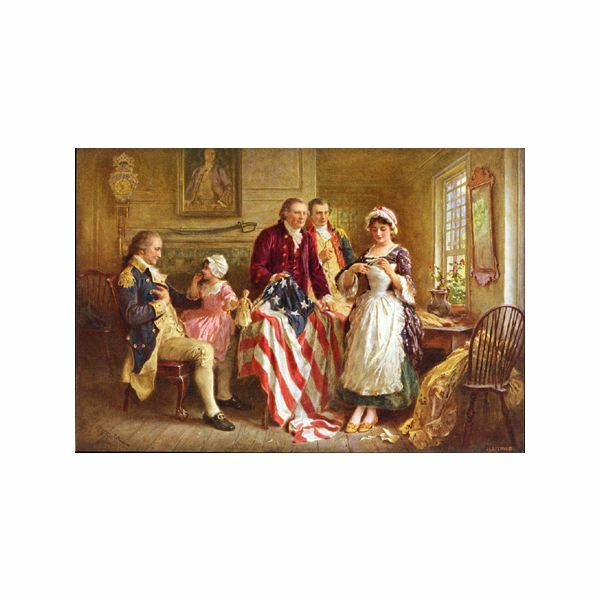 Members of Ross’s family signed sworn affidavits saying that they heard directly from Ross that she made the first American flag. The important facts about Betsy Ross do not say for certain if she sewed the first American flag, but it is possible that she did. Even if she did not sew the flag, she is an important example of a female businesswoman during colonial times, when women rarely ran their own businesses. The facts and legends about the growth of the United States into an independent nation, including the story about the birth of the country’s most important symbol, are important parts of American history and Betsy Ross is part of the story.